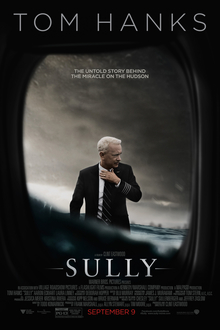 Another biographical film with the surname of the individual as the movie title. 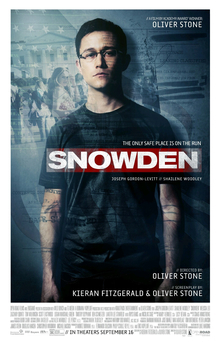 This time - it is about the hacker Edward Snowden who leaked classified NSA information. And being a thriller, this one interests me much more than the film above. The trailers sold me, and I am really interested to see this film. 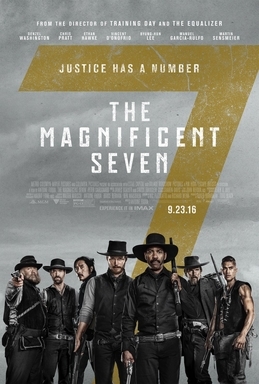 A western action film starring some awesome actors in Denzel Washington, Chris Pratt, Ethan Hawke, Vincent D'Onofrio and more. But the one thing I can't help noticing is how similar it is, in some respects, to a recent western film by the great Quentin Tarantino - The Hateful Eight. Firsly, its a western. Secondly, having a descriptive word and a number as the title. And finally, if you look at the most recent trailer, you can see the introduction of the characters with their "titles/nicknames". In simpler terms, this is perhaps a creepier, weirder, and a non comic-booky version of the X-Men. Its about this Miss Peregrine who owns a mansion and teaches these "peculiar" children (children with unique powers) in a place far away from society. See the parallel? But while the X-Men has cool mutant powers and focuses on the action, this film seems to focus on the lives of these children away from the real world - how they deal with their powers, etc. And the powers here are not as fancy and battle-ready as the X-Men have. And I suppose even from the trailers, you probably can already tell the focus and the tone of this film. But I sure hope that its more than just about seeing the lives of these peculiar children. Morgan (Sept 2) is very much an interesting science-fiction thriller film, but it seemingly has horror elements in it, and I actively avoid horror. But it does look very much to be an intriguing sci-fi horror thriller. Now, for those of you wanting more of a disaster flick, Deepwater Horizon starring Mark Wahlberg is out on September 30th. Also on September 30th is the comedy Masterminds if you need a good laugh.